America the Beautiful is a 56-coin series dedicated to the national forests, parks, monuments, and cultural treasures of the United States. 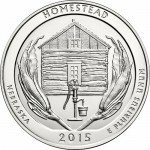 Each coin in the series represents a different location across the country, with stunning imagery that reminds us of the beauty found throughout the US. 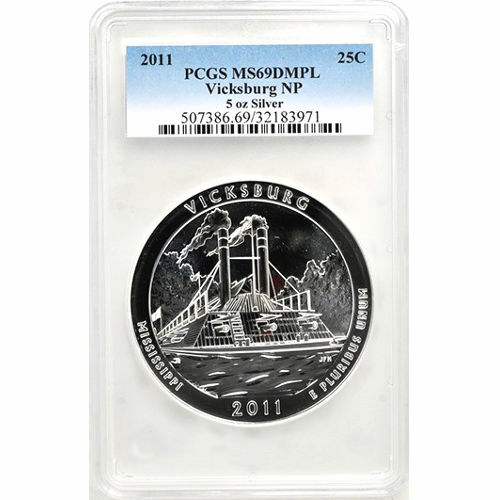 Right now, the 2011 5 oz Vicksburg ATB Silver Coin is available through Silver.com. Roughly 2,202 coins exist in this grade and condition! Bears a face value of $0.25 (USD) backed by the federal government. Struck with a deeply-mirrored, proof-like finish. 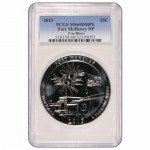 PCGS plastic slab protects your coin’s condition. Vicksburg National Military Park in the state of Mississippi memorializes the 47-day siege that Union forces laid upon the Confederate Army encamped in the city. With victory over Confederate forces at the end of the siege, the Union took control of the Mississippi River and was able to cutoff the western Confederate states from those in the traditional South. 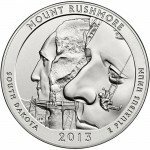 As part of the America the Beautiful coin series, the 2011 5 oz Vicksburg ATB Silver coin was the 9th coin released in the series overall, and the 4th released during the 2011 production year. Each year, the United States Mint releases five new coin designs representing different locations. By the end of the series, all 50 states, five territories, and the federal district of the US will be represented. On the obverse side is the standard image of President George Washington found on all American quarters. This particular design was refined in 1932 by John Flanagan, but originally based on the 1786 sculpture of the president created by William Cousins. Each coin in this Silver.com product listing is available in near-perfect condition with a rare deeply-mirrored, proof-like finish. You’ll find the full, original luster present on these coins, with no more than two minor detracting flaws visible. We encourage all Silver.com customers to ask questions when they arise. You can reach an associate at 888-989-7223, chat with us online through our live chat, or send us an email. 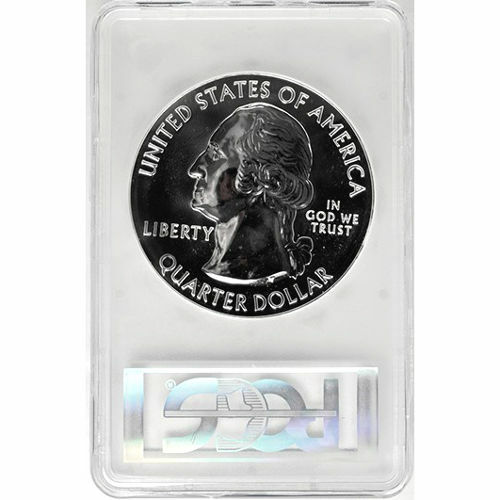 If you are interested in similar products, be sure to check out all of our Certified Silver Coins.